According to a report in today's Wall Street Journal, Samsung is joining companies like Apple, Amazon, Google and Microsoft by producing a smart speaker. This is the latest tech hit that started with Amazon's launch of the Echo a couple of years ago. They are called smart speakers because the product combines a speaker with a virtual AI personal assistant. Amazon launched Echo with Alexa and this year she took off. Alexa can now be found on some handsets like the Huawei Mate 9 and HTC U11. 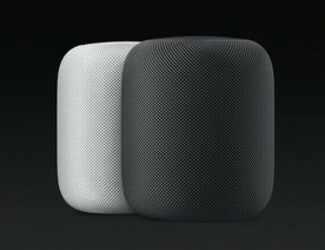 Last month, Apple unveiled the HomePod, which has a premium speaker, Apple Music integration, and Siri. Microsoft teamed with Samsung's Harman Kardon and Cortana for the Invoke. And the Google Home combines Google Assistant with a speaker. The Journal report says that Samsung's smart speaker, code named "Vega," has been a year in the making. It will feature Sammy's own AI assistant Bixby. But with the English-language version of Bixby delayed, there is no timetable yet for the product's release. 36 million Americans will use a smart speaker at least once this month this year, double the amount from 2016. The speakers can give out information like weather, sports scores, stock prices, and if connected to a music app, they can play music on demand. The smart speakers can also be used to control smart appliances. On Amazon's new Echo Show, there is a 7-inch touchscreen which can monitor your front door step among other things. Will Samsung be able to succeed in a market that is getting more crowded by the second? The answer will probably depend on whether the public falls for Bixby once the English-speaking version of it is ready to go. Samsung now hoping on the smart speaker trend... I hope Bixby lives up to expectations, as I'm definitely interested in the Bixby- powered speaker. Yes, because Bixby has been such a smashing success on phones, it's only natural to make it a home speaker assistant! Ahaa, the unwanted guest shows up at the party. I was surprised i had not seeing samsung here. U can tell that they really wished they were like apple, google, amazon and microsoft. I'm sure they will be dying with envy now but guess what, no one cares about bixby and your home speaker. Why do I get the feeling that you are often the unwanted guest that shows up at parties? My sourcres tell me that you aren't even wanted in the comments section at Phonearena and that is a guarenteed lock. Someone started everyone else now followed? Was this started by Amazon? Or Google? You do know why Amazon is selling a tiny and a big version of their speaker, right? The big one works as a music player, too. Or maybe Apple jumped in knowing Samsung will be making them soon, after their's acquisition of Harman. Apple surely knows how to make their fans believe others Copied them whereas they are following whatever Google is doing. What year did Apple buy Beats again? Hopefully it doesn't look like toilet paper. Also really hope it performs better than Siri which is the equivalent in usefulness as used toilet paper. I think Apple has patented all the trashy looking home computing devices. It's sort of their thing.